You are at:Home»Bitcoin Values»Bitcoin vs USD (Dollar) vs Gold : Which Is A Better Investment? Bitcoin vs USD (Dollar) vs Gold : Which Is A Better Investment? When it comes to comparing Bitcoin vs Gold and Bitcoin vs USD (Dollar), each one can have its advantages but this article will give you a more clear perspective of the best option overall. Of course the U.S. Dollar is the most common and widely accepted currency but Gold is also well established in the currency market. Bitcoin is fairly new, so of course it will be the least respected and used of the three. There are a lot of factors that can be used to compare Bitcoin vs. Gold and Bitcoin vs. USD (Dollar), but I will just use a few in this article to give an overlook of the similarities and differences. Three of the most important factors to evaluate in my opinion would be liquidity, investment, and stability. First we will look at the liquidity of Bitcoin vs Gold and also Bitcoin vs USD (Dollar). The U.S. Dollar is the most liquid because it is the world’s reserve currency. Gold would be second on this list and Bitcoin would be a distant third. When it comes to investment plans, Gold would be the best option because of its longevity. 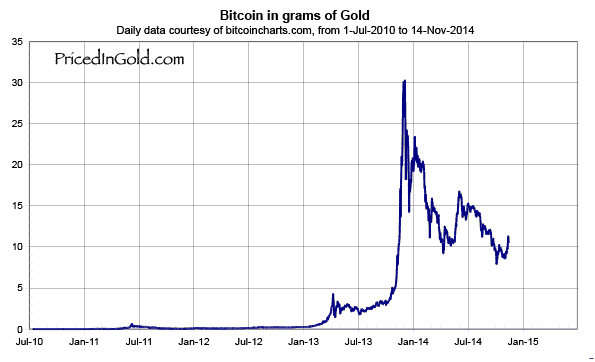 As a speculative investment, Bitcoin would be a better route compared to Gold or the U.S. Dollar. U.S. Dollar fluctuates so the return on an investment is very minimal unless you are invested huge amounts of capital. The stability is something must be closely looked at because of the continuing changes in the currency market. The U.S. Dollar is less volatile than Gold or Bitcoin due to the U.S. Dollar losing almost all of its purchasing power at an alarming rate since 1900. Gold has experienced a tremendous amount of growth since 1940 and is holding steady as far as its purchasing power. The Bitcoin has not seen a very big growth spark, but since its introduction in January 2009, it has remained stable. With the factors explored in this article along with others such as portability, payment systems, and storage; there are clear advantages when comparing Bitcoin vs Gold / Bitcoin vs USD (Dollar) for each. Ultimately, it is not which is better. Each one can work differently for individuals during different transactions. In the future, instead of comparing Bitcoin vs Gold and Bitcoin vs USD (Dollar), hopefully there will become a system where each of these currencies and others can co-exist with each other to create the best results for the world as a whole.